Having developed our own social media monitoring tool for the purpose of elevating project/product management, we thought we’d elaborate more on this. The feedback is elevated by linking them directly to requirements, issues and tasks and communicated to PMs. Let’s take this into more detail. Social media is an ever-increasing phenomenon that has invaded the corporate world. Billions of people are using social networking tools on a daily basis. There are more people on Facebook (901M) than in Europe, Russia & Middle East combined (780M), and if Twitter were a country, it would be the 12th largest in the world. 13% of customers post social media updates about brands they like (Mashable). 56% of consumers are more likely to recommend a brand after becoming a fan on Facebook. The notion of leveraging social media into project or project management is still relatively new. If done correctly, businesses may be able to find that innovative idea that will bring them to new heights. Leveraging social media is only effective if actions can be taken on the social media comments. The easiest way for me to explain this relatively new concept is to use OneDesk’s social media monitoring tool as an example. Built into OneDesk’s project/product management suite of interconnected applications, the social media monitoring tool set itself apart from others because it has the ability to pipe social media comments into the development process. But, why would anyone want to capture social media comments? With the increasingly high number of social networkers, customers and future customers may be talking to each other about your brands, products, services, industry and competitors. While these conversations may not be directed to your company, “listening in” to them may help your company understand what the market wants, make new customers, or even come up with that breakthrough innovative idea. – Search for anything related to your brands. – Results are pulled from public updates posted on Facebook, Twitter and Blogs. Choose to search all three channels, or filter them by the ones you wish to search. – Go through the results and tag social media comments as ideas, feedback, problems, questions, compliments and leads. The tagged comment will then appear as a feedback item in the feedback application. Comments tagged as problems and questions will appear in the help desk application, and those tagged as ideas will appear in the ideas application. – From there, turn them into actionable items. Assign them to team members to be worked on, link them to or turn them into requirements, issues or tasks. – Engage with the whole team and collaborate with them on implementing the items, and produce products/services that win in the marketplace. As you can see, the beauty of OneDesk’s social media monitoring tool is that it allows companies to capture feedback and other input effortlessly – there is no need for them to reach out to customers. Social media comments are also more honest and informative than survey answers. I appreciate your expanding on our conversation and explaining your position a bit more. And thanks very much for joining #pmchat last week. If you’ll allow me, I’d like to expand a bit more on my comment, especially in light of your post here. While I agree with your points, and how social media can enhance (elevate) certain processes, I still don’t think that project ‘management’ is one of those processes. In the examples you’ve given, I see that as enhancing/elevating project/product “development” or “evolution”, but not the management (or delivery) of the project. The feedback monitoring and bug ID would be occurring during the testing phase at the earliest, or perhaps during iterations. That’s where I was going with my comment on #pmchat. 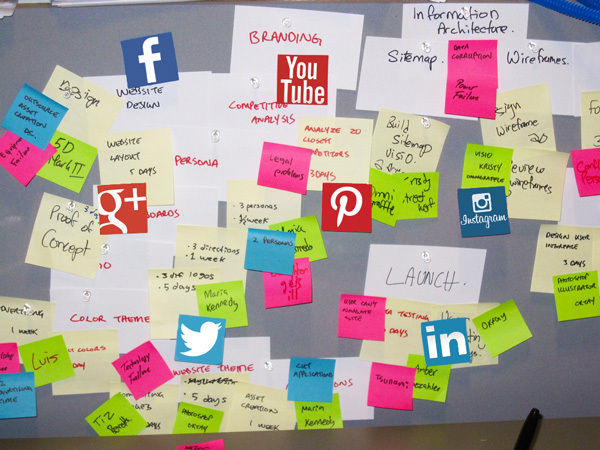 Monitoring social media doesn’t by itself improve/enhance/elevate the ‘management’ of projects. Yes, it provides an avenue for feedback, and as you’ve stated above, in some cases it may be a superior avenue. But those comments aren’t affecting the delivery of the project in it’s current state (unless you’re implementing feedback comments “during” the current sprint cycle). But even then, you’re talking about scope modifications or changing requirements, things which will be implemented during the next phase/iteration. I don’t see social media having any relevant impact on the schedule, cost, resources, or even business case of a project, at least not during the management and delivery of the project. To be fair, I really do like the social media monitoring capability you’ve built into OneDesk. And I think it’s very valuable from a product improvement standpoint. I just disagree that social media, in any of its forms (Facebook, Twitter, etc.) “elevates” (improves) project management in any way that other forms of communication don’t. Thank you for elaborating on your point. You are absolutely right, social media does not directly elevate the actual management of a project – it certainly will not improve things like costs, schedule, and resources. However, social media may directly affect other components that are linked to project management. As you said, it may not affect the delivery of a project in it’s current state, but there is no denying that changing customer demands affects project management. Thoughts on this? I think you’re right on the mark. Social Media doesn’t affect the delivery, but it can absolutely affect the evolution, especially in software projects or projects with evolving iterations. And I think the OneDesk integration is a fantastic way to take advantage of that. It’s much better to funnel the feedback in, rather than search for it, and I agree with your point about honesty. For whatever reason, comments on social media channels seem to be more open and honest, and less critical just to be critical. And thanks again for taking the time to expand on this. I think it helps me, and others, better understand not only OneDesk’s position, but also the usefulness of the product. Thanks again for your insight – you’re right on point. Our goal is to help people to understand the emerging aspects of social project management, and I’m glad to see we helped you. Feel free to ask us to clarify anything else!